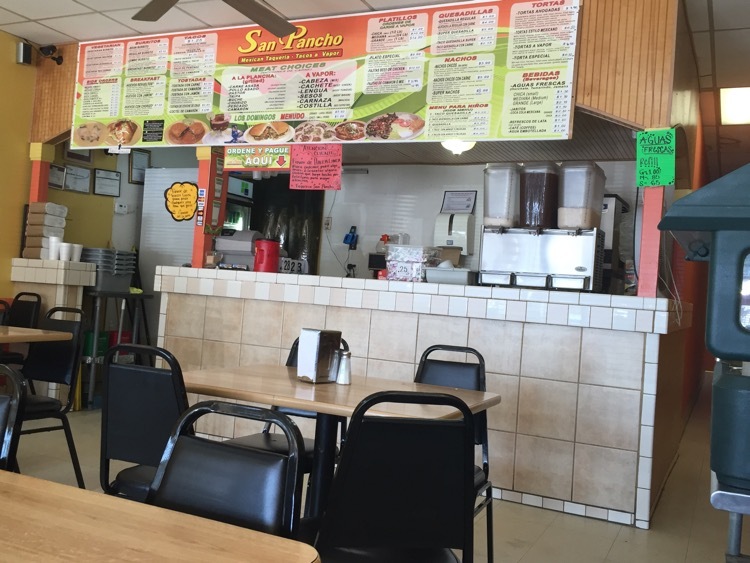 The menu is fundamentally simple – burritos, tacos, quesadillas, nachos and tortas. But the meat selection was huge – pork, chicken, beef, beef tongue, beef brain and more – both grilled and smoked. 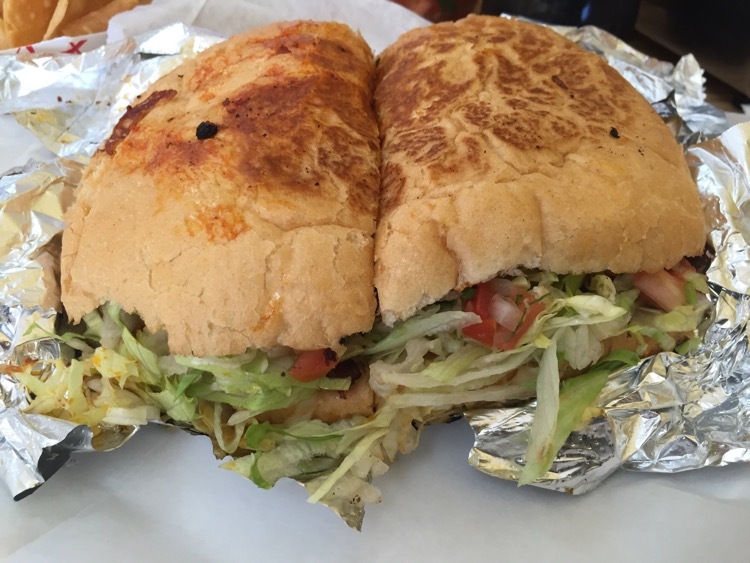 On the first visit, I ordered a torta (sandwich) – which resembled a burrito, with pastor (barbecued pork), on bread. I felt that this sandwich was definitely a winner, sloppy and full of flavor. What you can’t see from the picture is that, in addition to the pork, it has lettuce, salsa, guacamole, beans and tomatoes. It’s also about nine inches across. This was a mighty fine sandwich. My daughter said that they’ve tried the tacos and burritos, too, but they always come back to the nachos. That’s what she ordered on this visit. She allowed me a taste, and they were good. So, when I went back with a co-worker, I ordered nachos for myself, in the “Super” version. The thing about these nachos is that the chips are perfect, and they are then covered with cheese, guacamole, beans, tomatoes and pico de gallo. And, in this instance, grilled steak. I know why they go for the nachos, always, as I likely will as well. In looking on line, it appears that there is also a location in Roswell, on Alpharetta Street, as the photos on Yelp of that place (with the same name) have the same menu. These were, honestly, some of the best nachos that I’ve ever had. And there is a salsa bar, containing eight or nine sauces, plus radishes, limes and peppers, that you can top your meal with. Among these was a creamy avocado sauce and a really hot verde (green) sauce, in addition to a couple of less spicy salsas.